Paid search involves a company paying a search engine to appear at the top of search results. Paid search is often referred to as search engine marketing (SEM) and consists of advertisements that are displayed on search engine results when certain keywords are typed in. These ads are known as pay-per-click (PPC) ads, meaning that the company pays the search engine based on the amount of times the ad is clicked. The exact placement of ads and what keywords they appear for is determined by a bidding process and a quality score of the site. Just like organic search, paid search comes with advantages and disadvantages. These pros and cons are essentially the opposite of those for organic search. Organic search results are those that come up naturally when someone types in words in a search engine. 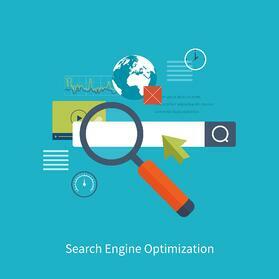 Search engine optimization, or SEO, is the strategy of getting a site ranked higher in a search engine. SEO considers the algorithm that search engines use to rank sites and creates content that will rank high in the search engine. The goal of this approach is to create content that will eventually rank on the first page (top 10) of the search engine. One of the biggest advantages of paid search is time. Your site is placed to the top of search engine results as soon as you pay. The appearance of your PPC ad can be targeted so that it reaches your key audiences. This targeting can focus on location, age, income, education level and much more. Paid search is becoming increasingly popular as organic search becomes more competitive. Another big advantage of paid search is an increase in click through rates. In searchers who have a high intent of purchasing, paid search will result in more clicks than organic results. Examples of searches with high purchase intent include product or brand-specific keywords. One of the biggest advantages to organic search is the credibility it gives your site. If your site is ranked high, searchers are more likely to trust it and view you as an authority in your field. Once you achieve a high ranking, it is much easier to keep it than it was to obtain it in the first place, maintaining your company’s authority in the field. The organic search strategy produces higher click through rates for searchers not necessarily looking to buy products. This is important with higher involvement purchases. As a searcher interacts more with the content, they learn more about what they want to buy before finally making a purchase. Another advantage of this approach is that it works over a long period of time. Once content is created, it can be constantly added to and edited. These actions make the content rank highly long after it was originally created. When you combine these two strategies, you will have a comprehensive search engine marketing strategy that takes all types of traffic into account. Your paid search ads will reach your target audience and be visible to those who are ready to make a purchase. Your organic search work, such as blog posts and other forms of content, will help educate your consumers. These organic efforts will reach potential customers in earlier stages of the buyer’s journey, allowing you to gain a reputation with potential customers while they are still in the research stage. Because organic search results are earned rather than bought, they will also foster a trust in your brand. When you combine these two strategies, you will be able to reach your target audience and be visible to potential customers at every different stage of the buyer’s journey. You can simultaneously create an immediate high volume of traffic and build up your online presence over time. When you combine paid and organic search, you will create a search engine marketing strategy that maximizes your online presence while promoting trust in your brand and improving your company reputation. If you’re looking to improve your company’s online presence, you should consider investing in digital marketing! When it comes to attracting, converting, analyzing, and integrating, there is nothing that is out of the reach of our capabilities. As a leading CT Digital Marketing firm, ImageWorks LLC uses state of the art techniques and is focused on the success of your business. We work with you to improve your current marketing plan, overcome your challenges, achieve your goals, and meet deadlines. By creating content specifically designed to appeal to your dream customers, inbound attracts qualified prospects to your business and keeps them coming back for more.